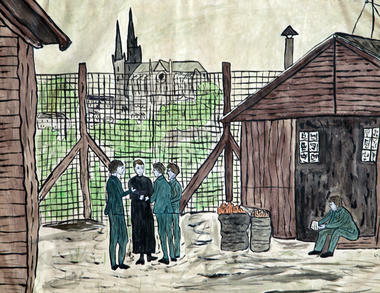 An important historical site, this seminary was home to 900 German prisoners of war, training to be priests under the guidance of Franz Stock. 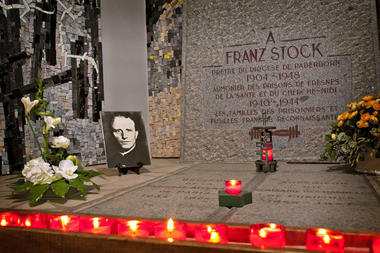 The site commemorates the work of Stock, an image of compassion under the Occupation and a strong advocate for Franco-German reconciliation. 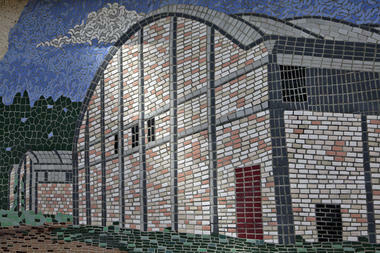 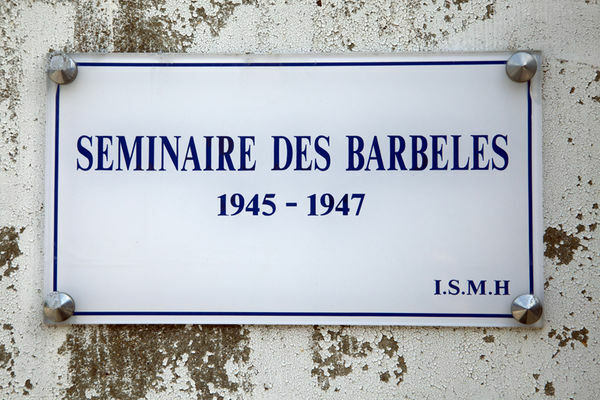 This place of remembrance, the "barbed-wire seminary", which was created in 1945 with the support of the Apostolic Nuncio, His Grace Roncalli (future Pope John XXIII), held over 900 German prisoners, seminarians in training. 640 of them became priests, 4 of them bishops and 2 of them abbots. 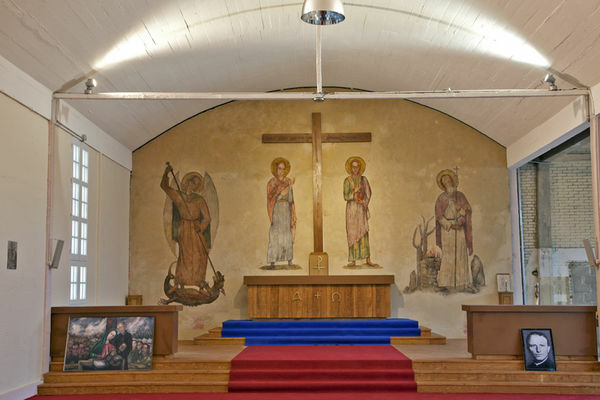 The abbot Franz Stock (1904 - 1948) - a German priest, ex-chaplain of the Parisian Gestapo prisons, and a model of courage under the Occupation - provided spiritual guidance here. In a hangar on site, through archived images, this post-war episode and the life of Franz Stock, an apostle of the Franco-German reconciliation, are recounted. The chapel has displays of Franz Stock's own wall paintings and the Way of the Cross, painted by a prisoner, which have been restored. Mercredi après midi Samedi après midi * An important historical site, this seminary was home to 900 German prisoners of war, training to be priests under the guidance of Franz Stock. 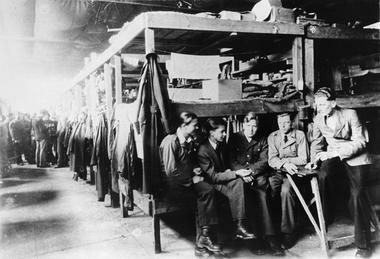 The site commemorates the work of Stock, an image of compassion under the Occupation and a strong advocate for Franco-German reconciliation. Tous les jours * An important historical site, this seminary was home to 900 German prisoners of war, training to be priests under the guidance of Franz Stock. 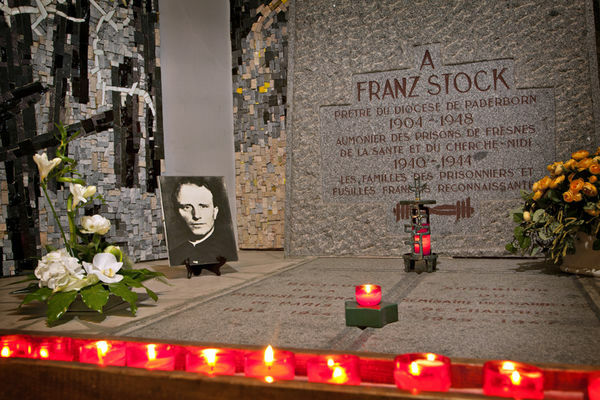 The site commemorates the work of Stock, an image of compassion under the Occupation and a strong advocate for Franco-German reconciliation.